Everywhere you look, there are revivals (of varying quality) of some familiar material, though there’s perhaps none quite as baseless as Netflix’s Fuller House, a sequel series with the same (slightly ghoulish) premise and players of the original that lacks any of its warmth. But, as TV Club’s Joshua Alston notes, if the trade-off in this nostalgia-fueled resurrection is the occasional misstep in exchange for more of With Bob And David and Gilmore Girls, we’re prepared to take our lumps. 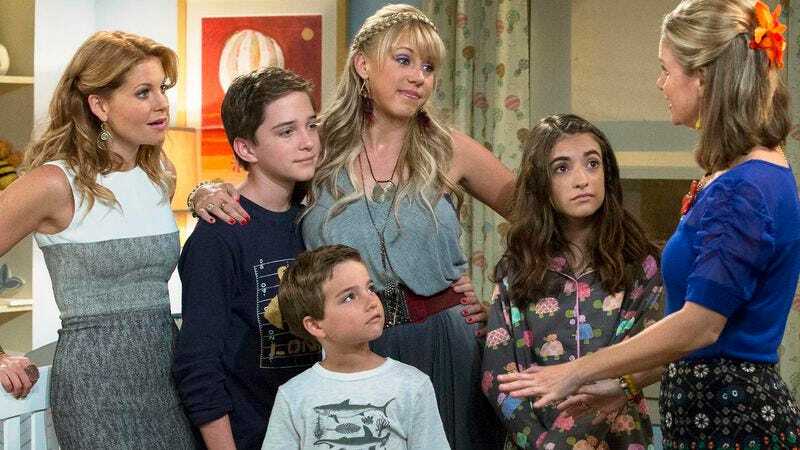 That tolerance will soon be tested, though, as Variety reports that Netflix has just renewed Fuller House for a second season of the adventures of the Widow Tanner, her brood, and her extended family, which includes a Vegas comedian (how wholesome). And now that they have their second-season order, John Stamos and series creator Jeff Franklin will presumably redouble their efforts to get an Olsen, any Olsen, to play Michelle.